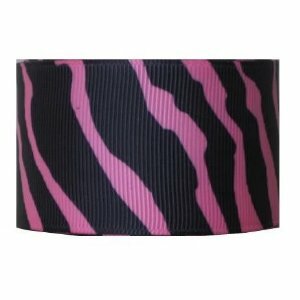 This sale is for 2 yards of new 1.5 inch grosgrain ribbon zebra print – hot pink/black Zebra. This grosgrain ribbon is 100% polyester fabric and machine washable. Many uses include sewing, scrap booking, decorating, hair bow making or any other crafting. Widths may vary slightly. Your satisfaction is guaranteed. Available in Pink, Orange, Red, White, and Blue, in Zebra and Leopard print. For deatils click “Buy Now”.